Antique French canal tiles. 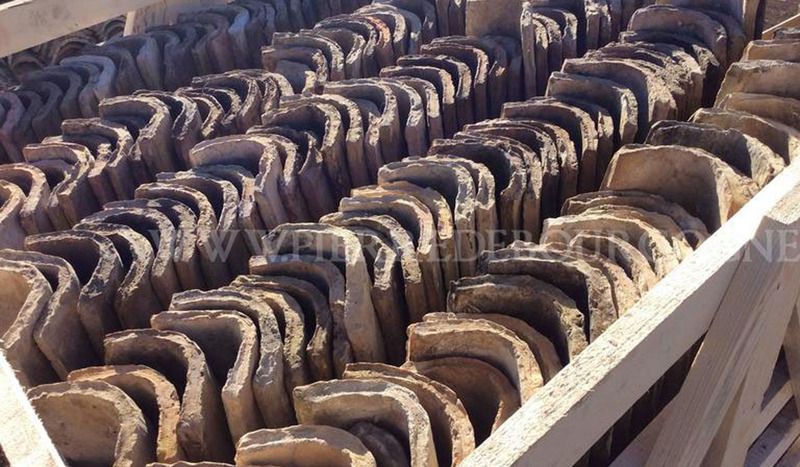 Reclaimed canal tiles, often referred to as Mission tiles, Barrel tiles, channel roof tiles, Roman tiles …. in terra cotta. 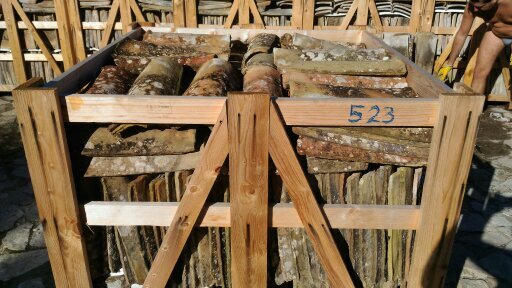 French antique barrel tiles salvaged from old French buildings, reclaimed and packed for re-use in France and overseas. 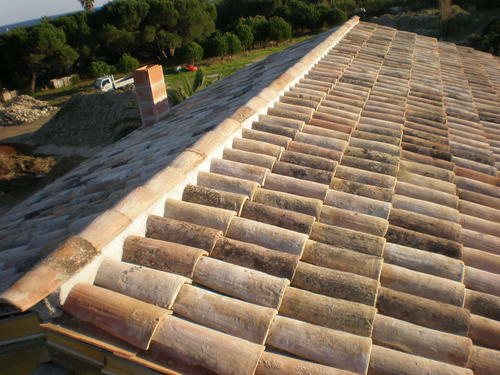 Approx 33 required per sq metre used as two piece (approx 306 tiles per “square” or 100 sq ft of finished roof). 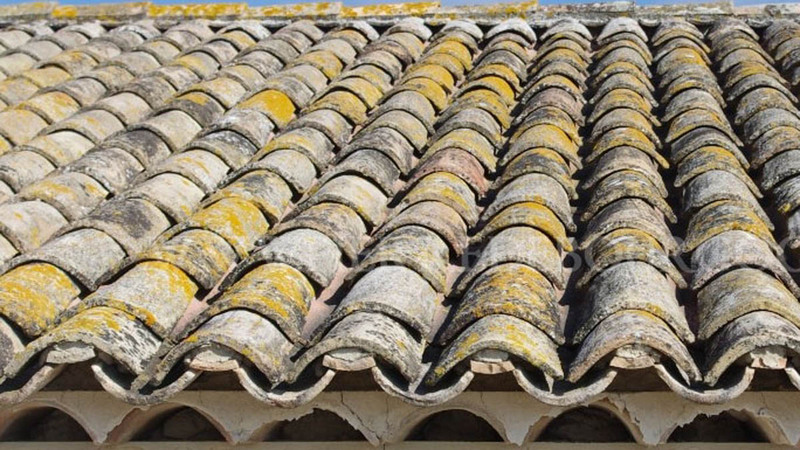 Alternatively approx 18 tiles are required per sq metre for “top” tile only if a new roof tile system is chosen for the mainly hidden lower tiles that take the water runoff. Contact us for info on this option of new “under” and old “over tiles. 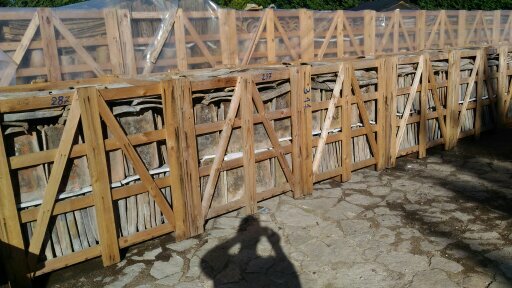 SHIPPING USA......no problem, packed in the necessary regulation crates. 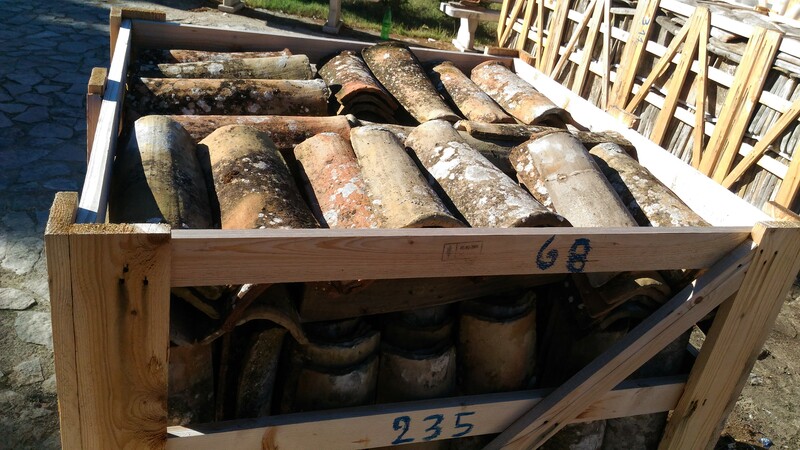 LUCIANO AMATO have a long track record of exporting reclaimed antique materials such as these to clients worldwide.